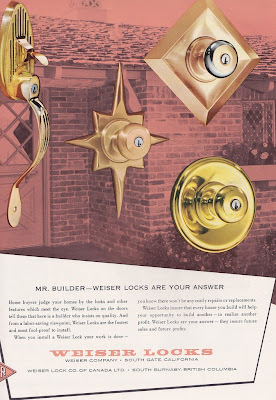 Here's a vintage, builder-oriented Weiser Locks ad with some classic mid-century door hardware. The type of mid-century door knobs that a smart company might make modern reproductions of. Mr. 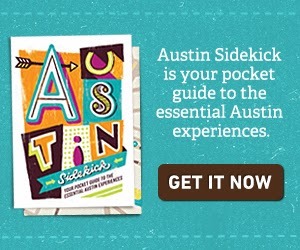 Builder — Weiser Locks are your answerHome buyers judge your homes by the locks and other feature which meet the eye. 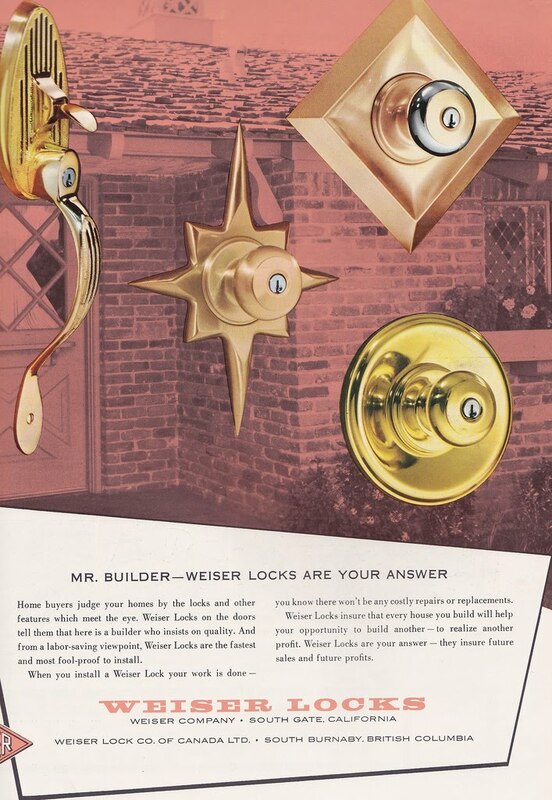 Weiser Locks on the doors tell them that here is a builder who insists on quality. And from a labor-saving viewpoint, Weiser Locks are the fastest and most fool-proof to install. When you install a Weiser Lock your work is done — you know there won't be any costly repairs or replacements. Weiser Locks insure that every house you build will help your opportunity to build another — to realize another profit. Weiser Locks are your answer — they insure future sales and future profits.